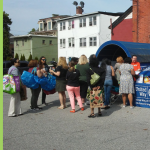 The following blog post is an interview with Dr. Maria Hubbard of the Jamaica, N.Y.-based Greater Bethel Community Development Corporation, a Good360 nonprofit partner. Greater Bethel CDC (http://www.gbcdc.org/) received a wide range of product donations from Good360 to assist in response efforts following SuperStorm Sandy. 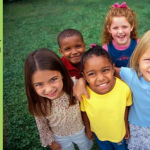 Tell us about the mission of Greater Bethel Community Development Corporation. How do you typically serve your community? Greater Bethel CDC was established in 2002 to enhance the quality of life for residents in New York. We endeavor to develop social programs and mobilize essential resources to create an empowerment network that enables people to achieve their highest potential. 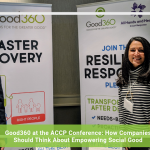 Through our partnership with Good360 we are able to enhance our empowerment programs by providing critically needed product donations for the disadvantaged. Had your organization previously helped with a local disaster(s) before SuperStorm Sandy? If so, please tell us how. 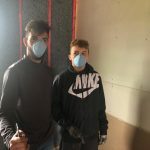 Our organization works with the local police department, politicians, churches and other nonprofits to serve families or individuals whose homes have been damaged in a fire. 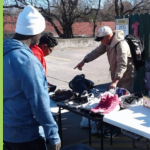 We provide clothing, bedding, and other items that are needed. Can you give us a little insight into the conversations you were having with your team as the news reports about the storm escalated and it became more apparent that something big would hit? Do you feel your organization was prepared? Truthfully, we thought it was a false wolf call like most of NYC. We had prepared in the past and nothing happened. We all went home expecting to return as usual. However, my house and several other staff members received tree and roof damage. Those of us who lived on Long Island were also without electricity for weeks. Our building is in the heart of Jamaica, Queens where nothing was supposed to happen. The winds blew away our flat roof drain system. The water stayed on the roof and froze. We did not discover the problem until the spring. The real damage was mold in the interior walls between the brick and sheetrock. Our computers, printers, etc. also were damaged by a power surge. The next day, I left my home and was visiting the areas where the most damaged occurred trying to assess how we could help. The damage was so bad, the question became where do we begin? What do you now know that you wish you had known at that time? FEMA does not provide assistance for regular nonprofits that receive damage. Looking back, I would not have wasted my time completing so much paper work that did not help our organization. Are there any incidents that stand out from your experience or learnings – good or bad – that you’d like to share with others? 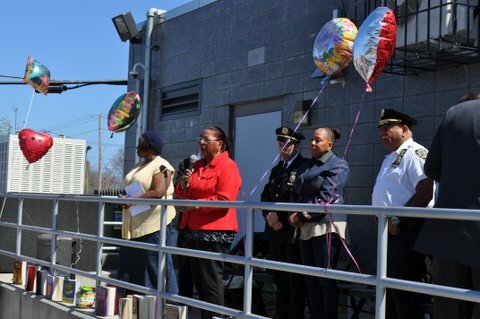 In Far Rockaway, there were many organizations serving the community. However, almost all of them offered their services or distributions during the day when most people work. These people were not able to stand in the lines during the day, and most of the product distribution sites were closed by the time they return from work. We e made a decision to target our distribution to those who worked during the day and were unable to take advantage of the other donation programs. We also learned how important it is to determine where our services could help the most. 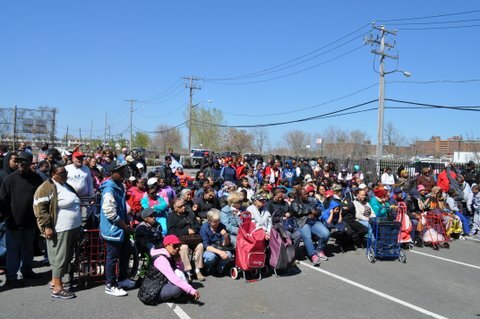 The New York City Police Department (NYPD) asked us to provide assistance in Staten Island because there were not many organizations serving the needs of the people there. We were later honored by the Staten Island police dept. for aiding their community. This experience also required that we learn how to serve those who truly needed help and not those who were taking advantage of the situation. I personally sat in my car in Far Rockaway and watched people get in a line over and over again. Was your organization called upon by people in the community to help in the response, or did you jump in to get involved right away? We were called upon immediately by local politicians, the NYPD and residents who were aware of our services. Which of Greater Bethel CDC’s activities during SuperStorm Sandy do you think were most beneficial for your community? Why? As I mentioned in a previous question, we distributed a truckload of donations to Staten Island days after the hurricane, where there was little help for survivors. We were able to help a number of people in the crowd who did not have coats. It was freezing because the facility was near the water area. They told me that they left with the clothes on their backs. Which partner organizations in the community – if any – were most helpful to you during this time? Why? The NYPD understood where there was a significant need for our help or the resources were lacking in the areas hit by the hurricane. They also were great partners in providing labor to distribute the products. How did your team determine the best way Greater Bethel CDC could best help your community? I drove around to some of the areas that were hit by the storm and made an assessment as to where our services could be used best. Were there specific product needs that you were unable to meet for your community? Please explain. Clothing—in large sizes—was in great demand. We did not have enough to meet the need. Two and a half years later, how well has your community recovered from SuperStorm Sandy? Does Greater Bethel CDC still continue to play a role in helping those who were impacted by the storm? Are you still able to help meet the local needs? None of the areas that we served has fully recovered. Many homeowners discovered that their insurance does not cover flood damage. FEMA did not cover a lot of the damages as well. In time, some things will be replaced and some can’t be replaced. Recently, we launched an endeavor to replace old or damaged storm doors of seniors and veteran home owners. Our partnership with The Home Depot has made this project possible. We sent you information about the DisasterRecovery360 platform. Any thoughts on how this new tool would fit into your disaster preparedness plan? I would love to be a part of the mobile application that would allow me to communicate the needs in my area. Also, I hope that this app would allow nonprofits to communicate and support one another. I believe that partnership amongst the providers helps eliminate waste and duplication. Is there anything else you’d like to add regarding your experience assisting survivors with SuperStorm Sandy? It was an honor to serve the people in their time of distress. However, we would not have been as effective if we did not have a partnership with Good360.